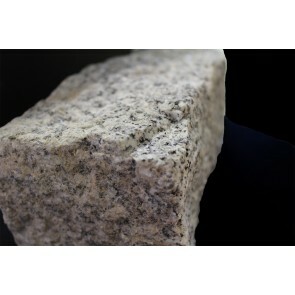 These are our granite setts. 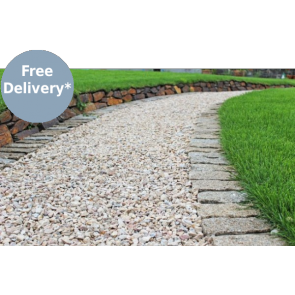 Granite setts can be used for paving, path edging or for quoins. 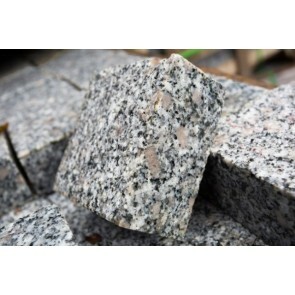 They are a broadly rectangular quarried stone used originally for paving roads, today a decorative stone paving used in landscape architecture and driveways. 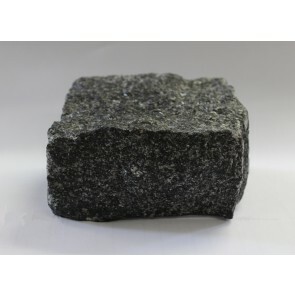 A sett is distinct from a cobblestone by being quarried or shaped to a regular form, whereas a cobblestone is generally naturally occurring. 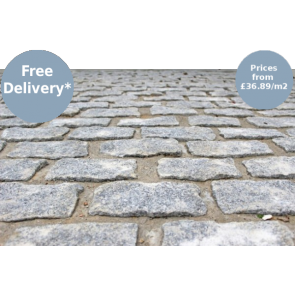 If you plan to use the setts for a driveway we would suggest using the 100mm thick setts opposed to 50mm.